Depending on a number of factors, including how much experience you have with the type of work youâ€™re doing, if you are using subcontractors, and the information you have from the client, estimating the time for a project can be difficult. Here is the process I use when scoping the time commitment for a new project. The first step is to identify the main project (i.e. Website Redesign), and then pinpoint the specific deliverables associated with the project. For example, upon completion of the redesign, you will be providing the client with a newly designed website by FTPing the site files and sending the client a CD or USB drive with the working files. The next step is to estimate time for each task, rounding up. 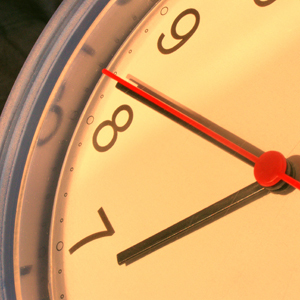 If you are using subcontractors, you will need to get their time estimates first and work them into your time. Then take the total time for all of the tasks and add in a buffer. The buffer can be anything, although I usually stick with a 10-25% addition. This allows for any unexpected situations or challenges that arise. How do you ensure your time estimates are as accurate as possible?